The achievements of St John volunteers and youth members have been recognised at the annual Presentation Afternoon. 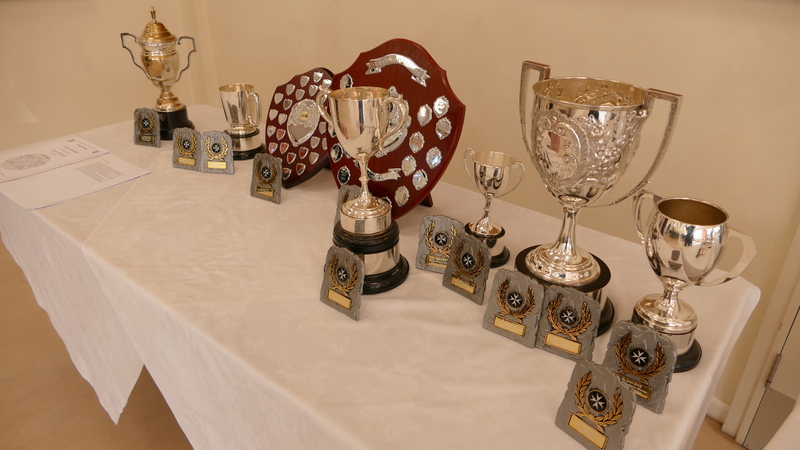 A total of 38 trophies and awards were handed out at the ceremony which took place in the presence of the Knight Commander Andrew Henton and the Chairman of the St John Guernsey charity Jurat David Hodgetts. Long serving volunteer Paul Kennedy received the adult Spirit of the Order award (the Polaris Trophy). Paul has been a member of St John for nearly thirty years. As well as giving up his time to provide first aid cover at local events, Paul helps maintain St John’s fleet of vehicles and supports the charity in other ways. He is also a volunteer for the Patient Transport Service. First Aider and youth leader Darryl Bye was recognised for his attendance overall contribution to the organisation, while Josh Bonsall received an award for the most public duties attended during the year. Joshua Blanchard received the Phyllis Touzeau Trophy for service and extracurricular activities. He was appointed as the St John Guernsey Cadet of the Year and will represent St John at events through 2019. Outgoing Cadet of the Year Matthew Holland collected four awards, including the Madge Wherry Trophy for Commitment and the Spirit of the Order award (the Wallace Cameron Trophy), which was presented by the Knight Commander Andrew Henton. Louis Bell was named Badger of the Year with Katherine Brache as Deputy Badger of the Year. Several Badgers also received their Super Badger awards for completing their Badger subjects. Thank you gifts were also presented to Youth leaders, Jackie Pattimore, Lucy Ozanne, Darryl Bye, Michelle Bihet, Jason and Annette Gallienne.